Important Notice: Ultra Monthly Monitor cannot detect every urinary abnormality, only your cat’s veterinarian can undertake such a diagnosis. Ultra Monthly Monitor is NOT for “at home diagnosis” and should NEVER be used as a substitute for veterinary care! Can Ultra Monthly Monitor diagnose illnesses my cat may have? No. Only your veterinarian has the knowledge and experience to diagnose your cat’s health. Ultra Monthly Monitor is a tool to help you monitor your cat’s health. When your cat urinates in the litter box the crystals will absorb all the urine. If certain abnormalities in pH are present in the urine the crystals changes to certain colors. How do I check the Monthly Monitor to determine if the pH is normal or abnormal? Inside each bag is a Monthly Monitor card with a color bar along one side. Use this card to compare colors at the urination spot. If the card was missing, you can print another one off our website. There is a red button on the monthly-monitor.com page. We will also be glad to mail one to you. 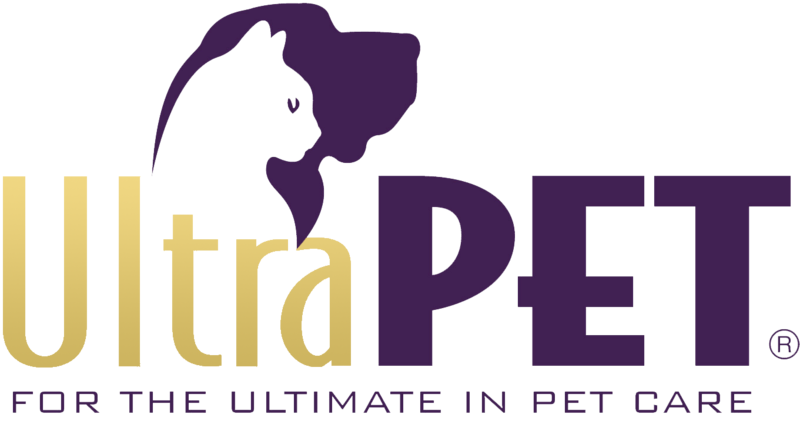 Please email us at info@ultrapet.com or call 864-224-6527. If blue, green, red, or orange are present then your cat‘s urine is showing signs of a potential problem. We recommend that you contact the cat’s veterinarian for advice. How do I use Monthly Monitor? -Begin with a clean litter box. -Using disposable gloves scrub the box with a mild detergent and thoroughly rinse and dry. Avoid using ammonia or other strong cleaners as the residual smell can deter litter box use. -Fill the litter box with the cat’s normal litter. -Spread the Monthly Monitor evenly across the top of the litter. -Watch your cat for litter box visits. -Shortly after the cat leaves the litter box (within 10-15 minutes) check the urination spot for color changes. -Compare the color at the urination spot with the colors on the card enclosed in each Monthly Monitor bag. -If the color compares with a color that indicates a high pH (blue or green) or a low pH (red or orange) then contact your cat’s veterinarian for advice. -If the color indicates normal pH (light gold to light olive) stir the Monthly Monitor into the regular litter where it can help with odor control for up to a month. Once Monthly Monitor has given a reading, can it be reused? No, it will not give an accurate reading. Monthly Monitor is designed as a single use product – once per month you check your cat for proper urine pH. When the cat urinates on the Monthly Monitor the color is apparent for an hour or so and then fades. To get the most accurate reading it is important to check the urine spot within 15 minute of the cat leaving the litter box. Do I have to use the entire bag of Monthly Monitor? It depends on your cat’s urination pattern. If your cat has a “habitual urination spot” in the litter box, a portion of the bag can be poured in the spot and checked and then stirred into the litter. Then the spot can be refreshed with fresh Monthly Monitor later in the month. We have found that repeated test on the same product can result in less accurate test as the pH indicators will be diluted by the previous urinations. How does it work if my cat is a digger? An alternative method should be used if the cat being monitored typically digs a depression prior to urinating. Empty the litter box and clean according to litter box manufacturer recommendations. Spread the Monthly Monitor evenly across the bottom of the litter box. After checking the color at the urination spot, refill the litter box with the normal litter. The Monthly Monitor will help control odors over the month if it is stirred into the regular litter. How does it work if my cat likes to cover it’s urination spot? We recommend using a double layer litter box that allows you to collect the urine in a pan. Then you can pour Monthly Monitor into the urine and be able to check the color changes. If the Monthly Monitor is exposed to urine it changes color. If the color shows orange to red it means the pH is lower than the normal range. If the color shows blue or green this indicates a pH that is higher than the normal range. It the color is golden green to olive this indicates a normal pH. If the Ultra Monthly Monitor changes color does it mean my cat is ill? MAYBE. Urine pH is affected by many factors-some health related and others are related to diet. (See Question: What causes pH fluctuations in urine?) If the Ultra Monthly Monitor changes to one of the colors indicating the cat‘s urine is registering abnormal (blue, green, red, or orange) this MAY indicate the cat is suffering with Feline Lower Urinary Track Disease. FLUTD can only be diagnosed by a veterinarian so it is recommended that if one of these colors is indicated you should consult with your cat’s veterinarian. What causes pH fluctuations in urine? What if my cat is acting ill, but the Ultra Monthly Monitor did not show any abnormalities? Any time there are concerns for your cat’s health, it is important to contact the cat’s veterinarian for advice. Ultra Monthly Monitor is not able to diagnose diseases that may affect your cat. It is able to indicate the pH of the urine which can be an indicator of health problems or potential for health problems such as poor quality foods. If the Ultra Monthly Monitor shows a color indicating abnormal pH but my cat appears to be in good health what should I do? If cat appears to be in excellent health, you may choose to wait one day and recheck for abnormal colors over the next 24 hours. It is possible that something your cat has eaten has temporarily changed the pH of the urine. If the abnormal color persists we recommend the cat’s veterinarian be contacted for advice. What are symptoms that my cat may have a Feline Lower Urinary Track Disease? What do I need to do if I find abnormal colored litter in the litter box and I have more than one cat? Unless it is very obvious which cat is sick then you will need to determine which cat has the problem. Isolate each cat with its own litter box with Ultra Monthly Monitor. Watch each cat and when they visit the litter box check the urination spots with the pH color card that comes in each bag to determine which cat is having the potential problem. What is the best way to take care of Ultra Monthly Monitor so the product works the best? Keep the unopened bag in a dry location away from direct sunlight. Please click on the ‘Store Locator’ tab. Depending on your area, our products are found at grocery stores, pet stores, and/or online.